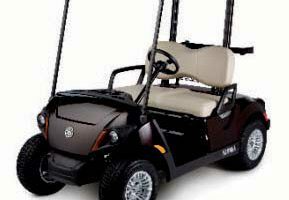 In Peachtree City, it would be hard to find anything that fits the bill better than the repair and maintenance of a golf cart. 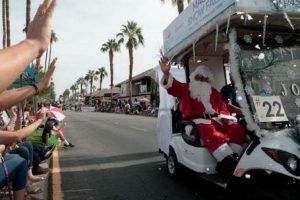 After all, nearly every family has one and probably every student in the program rides in one regularly. 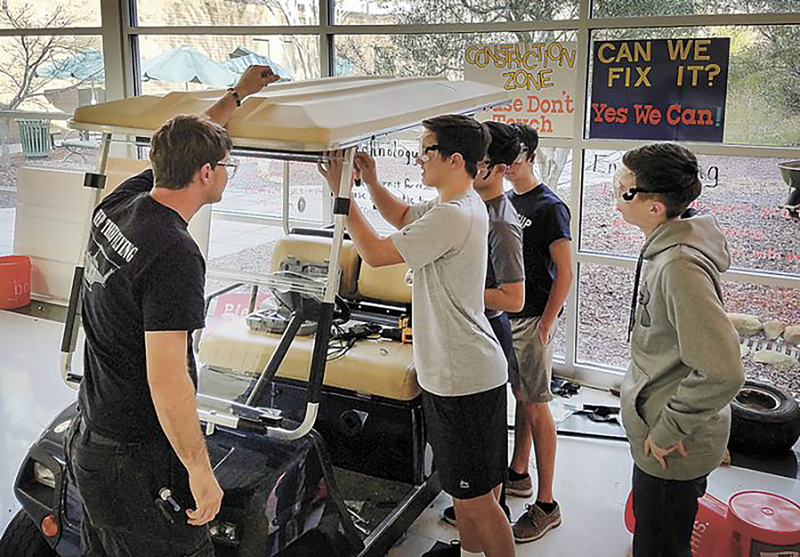 Nearly 50 students under Bingel’s direction have spent the past few months working on two donated golf carts, with the help of John Stern from John’s Golf Cart Service as well as a contribution from Foxy Wrap, Inc., another local business. 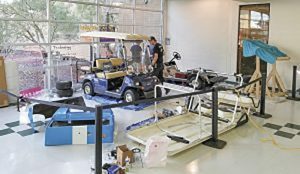 These eighth-graders have nearly finished completely refurbishing the vehicles, with the intent of selling them and putting all of the money straight back into the STEM program. One of the main focuses for Jason Bingel’s eighth-grade STEM students (science, technology, engineering, math) at J.C. Booth Middle School is to give students real-world problems and let them come up with solutions. Work began in earnest sometime in October, Bingel said, with each class concentrating on a single vehicle. From there the classes were divided into groups of 5-6 students each to work on specific areas – aesthetics, mechanical, electrical, and even the marketing of the finished products and the budgeting of the process. This project is not the single focus of the class. There are periods where they wait on parts and other necessary items, so students also work on robotics and other activities. Bingel supervises the students with the top priority being their safety during the work. But he doesn’t tell them specifically what to do or how to troubleshoot. Foxy Wrap came through when it was decided to wrap one of the golf carts instead of painting it. The company provided the actual wrap material as well as instructions on how to do it. 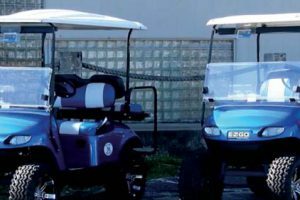 As for the actual inner workings of the golf carts, the students have done everything from replacing headlights to upgrading shock absorbers and overall body repair. The workspace is a gallery at the school directly behind Bingel’s classroom. He is one of three STEM teachers at Booth, the others being Sally Heintz and Dr. Kathleen Lanman. Both have been involved in the process, Bingel said. Work on one cart was completed last month and the other is expected to be done by the time this appears. Stern will pick them up in his trailer and take them to his own shop for a full inspection before they are put up for sale.